Take a high-potency B vitamin plus magnesium in combination with a multivitamin multimineral. 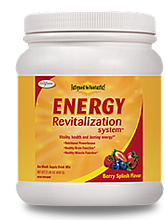 The one that I recommend is the Energy Revitalization System vitamin powder. One drink replaces over 35 tablets of supplements a day. Most people find that they feel dramatically better and mentally more clear within just a few weeks of use. Increase your intake of omega-3 fatty acids, which you most commonly get from fish oil. Notably, the brain is predominately made up of a type of omega-3 called DHA. Unfortunately, the American diet is markedly deficient in this. To compensate, you could take an awful lot of the typical kind of fish oil supplements that are on the market today (as many as 6 or 7 capsules a day!) — though you'd also have to experience the attendant 'fish oil burps' that come with them. This is because only a small percentage of most fish oil capsules include the essential omega 3s. So instead of this, I recommend using Vectomega. 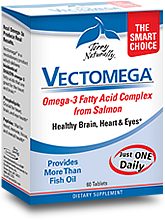 One Vectomega pill is the equivalent of seven fish oil capsules – and without the burps. I personally take one each day along with the vitamin powder I recommend. If you have chronic nasal congestion, sinusitis, or irritable bowel syndrome, then there is a good probability that you have candida overgrowth, which is a major trigger for brain fog. 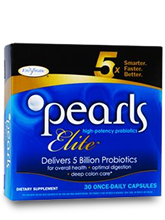 Supplementing with a good probiotic such as the Probiotic Pearls Elite, natural antifungals such as grapefruit seed extract or caprylic acid, and cutting out the sodas, fruit juices and excess sugar from your diet can help markedly. 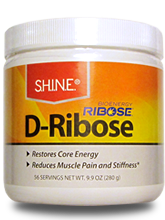 Taking ribose 5 grams twice a day has also been shown to improve cognitive function, as demonstrated in our published research. Bottom line: Brain fog is optional!